Are you ready for Holy Week? 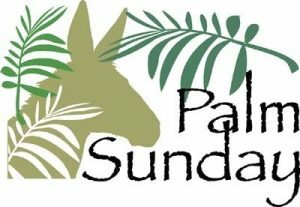 Join us at 10:45 AM for worship on Palm Sunday, March 25, in the Chapel. Our Chapel Choir and Youth Choir will sing anthems, and our tenor soloist, John Dey, will perform “The Palms.” Pastor Boling’s sermon, “The Uncertainty of Obedience,” will conclude her 6-week series on the subject, “Embracing Uncertainty.” All welcome!